For a fantastic gift, why not present the bourbon lover in your life with a personalised bottle of Woodford reserve? This bourbon is crafted painstakingly in very small batches, allowing for precise control over all the flavour components. There are more than two-hundred flavour notes to be found in a bottle of this Kentucky bourbon, ranging from grain, to spices, to fruit and floral notes. 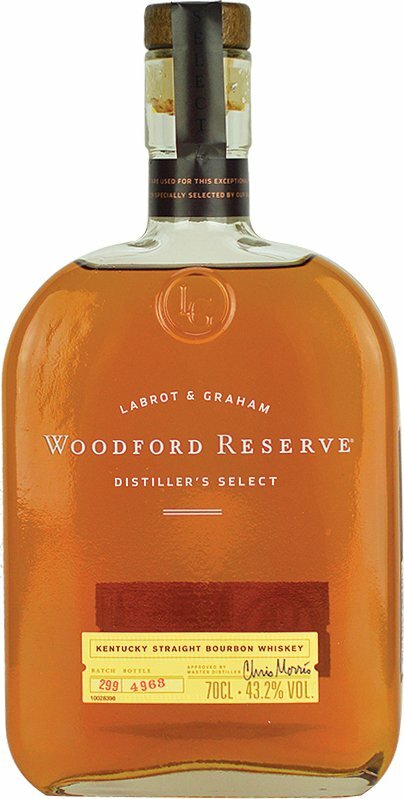 Woodford reserve is crafted in the oldest distillery in Kentucky, where Elijah Pepper first commenced his craft way back in 1812. It’s here that many distillation methods we now take for granted were first pioneered, including the ubiquitous ‘sour mash’ process. With the help of our laser-engraving service, your bottle is sure to leave an impression on any special occasion. Simply compose a message to remember, and we’ll etch it into the glass. The nose is heavy and rich in dried fruit, with hints of mint, tobacco and orange rinds all present. You’ll get sharp citrus, caramel and spices in the body, with a silky-smooth creamy finish.